All our deliveries are via Parcelforce next day delivery and carry a standard charge of £4.95 for postage and packing. Our standard delivery charge of £4.95 is for UK mainland only. Please contact the Durakit Team on 01752 395 065 or email sales@durakitworkwear.com if you want to order from overseas, we will find you the cheapest delivery cost available. All deliveries in the UK are on a Parcelforce next day service. Orders placed before 2pm will be delivered the next day. Please note that orders made after 2pm on Fridays will be not be processed until the following Monday. Our warehouses are closed on Public and Bank holidays and will not process your order until the next working day. Overseas delivery will vary. Please call the Durakit Team on 01752 395 065 for an estimate. Yes. Durakitworkwear.com uses SagePay, a world-class, secure online service to process your payments. Our online store is linked to SagePay secure payment servers, to process card transactions from the website. Payment details are captured within the SagePay secure servers ensuring that the information is held with the very high levels of security you would expect from a major accredited payment service provider. Please note that we provide an accurate size chart under each product on the website. Please use this as a guide before making a purchase. For our exchange policy please see below. What happens if I forget my password to log in? Go to the login/sign-up section of the website and enter your username and the email address you registered to the site with and your password will be sent to you. Can I have Durakit with my company logo please? We regularly embroider workwear and uniforms for companies and offer a full embroidery service for most of the garments on our website. See our Durakit Pro page for more details. Can I have Durakit in my own company colours with my company branding please? Durakit Pro specialises in the design and supply of branded corporate workwear in quantities of 1,000 pieces or more. If you wish to have your clothing customised to your own requirement then please go to our Durakit Pro page. Please tell us why you are returning your Durakit, this ensures that we can improve our service and kit in the future. If you require an alternative item please make sure to specify which colour and size you would like. Refunds can only be credited back to the original card that the goods were bought with. Please note we charge £4.95 for delivering exchange items. Can I exchange Durakit bought online at B&Q stores? No, all goods bought online must be returned to us at the address above for exchange or refund. B&Q stores can only exchange Durakit items bought in store with a valid store receipt. Where is the closest B&Q store in my area? Can't find the answer you're looking for? Drop us a quick mail . 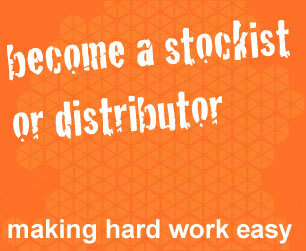 CLICK HERE or call the Durakit Team on 01752 395 065. We're here to help.